KIHEI — Cultural, environmental, managerial and financial concerns rose to the surface at a public meeting over state-proposed rule changes for the Molokini conservation district, a popular snorkeling and diving crater less than 3 miles off Maui’s south coast. Recently, the state Department of Land and Natural Resources began floating the idea of trimming the number of tour boats allowed to moor at Molokini at any one time from 20 to possibly 12, pointing to reports of overcrowding and changes in fish behavior. Ocean tourism officials shot back by supporting bills moving through the state Legislature that would keep the number of boats at 20. Citing a 2016 study that links more people with fewer fish, DLNR’s Aquatic Resources Division presented information on overcrowding and fish movement, as well as on bills in the state Legislature, to a large crowd Thursday night at Kihei Community Center. DLNR said the protected Molokini Marine Life Conservation District drew more than 360,000 snorkelers and divers last year, an increase from previous years. 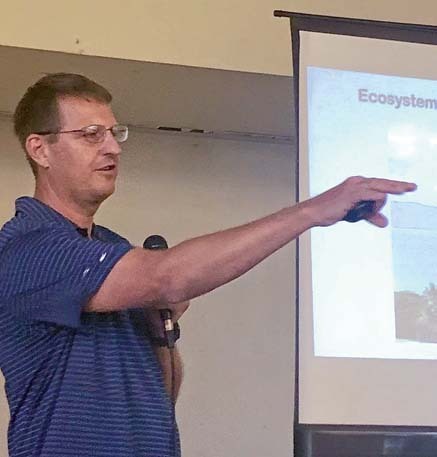 The meeting is the first in a process that would help update the district’s administrative rules, last amended in 1995, said Russell Sparks, a Maui-based aquatic biologist with the Division of Aquatic Resources. “These issues are not unique to Hawaii; they’ve been faced by many popular tourist destinations,” he said. After the presentation, the more than 100 attendees, representing commercial tour boat operations, environmentalists, Native Hawaiian cultural practitioners and concerned citizens, broke up into smaller groups, where some discussions turned heated. State officials asked participants Thursday if there are ways to keep Molokini open and accessible to all and about possibly having two noncommercial-only moorings and updating permit fees. Sam Garcia of the Makena Homeowners Association said an islandwide plan is needed, because boats not allowed to visit Molokini will overflow into areas on the leeward side of Maui. “The number is predicated on reducing it to a number that’s already unsustainable,” he said. “Close to 30 percent of the time we can’t even go there,” he added, citing poor weather conditions and other restrictions. Blake Moore, Pacific Whale Foundation vessel operations director, said additional scientific studies need to be done to prove negative impact of boats and people. Several people echoed the need to increase cultural education and sensitivity when visiting Molokini Crater. “When you hear the cultural perspective of the area, your visitors will have a better experience,” said Kaonohi Lee, a Native Hawaiian and Kaho’olawe Island Reserve Commission officer, adding that she would like tour boat operators and cultural practitioners to work together to enhance education. 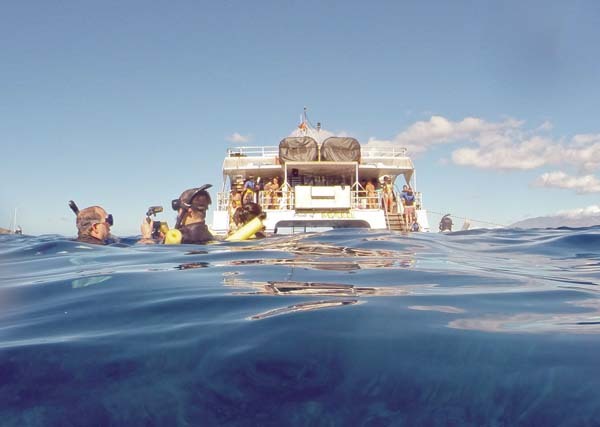 Moore said “guests want that,” and cultural and historical training should be a part of every Molokini operation. He said there is a challenge to find accurate information, though, since stories vary among descendants. Several commercial boat tour participants critiqued a 2010 study presented by DLNR that said Molokini visitors felt overcrowded. A survey found that more than 60 percent of all visitors felt crowded when too many boats were in the crater, the state said. That year, about 300,000 people visited the area. DLNR also presented Thursday a 2013 Conservation Action Planning study that suggested top Molokini management concerns, include reducing crowding, improving public access and increasing reef etiquette and Molokini-specific knowledge. In 2015-16, an assessment of the underwater acoustic environment, the number of boats and people visiting Molokini and the movement patterns of reef predators showed 50 percent of omilu, a key nearshore reef predator, were displaced from crater shallows into deeper water when the number of boats exceeded 12, the state said. “Although the coral reef habitat appears to remain healthy, the displacement of key reef predators is an indication that high human use is affecting this fully protected reserve,” DLNR said. The Molokini Marine Life Conservation District, established in 1977 as a highly unique offshore islet, established rules in 1995 to limit commercial permits in an expiration system system designed to prevent future uncontrolled growth. Current permits number 40, DLNR said. Many commercial tour operators support House Bill 1133, introduced by Maui County Reps. Angus McKelvey, Lynn DeCoite, Troy Hashimoto and Tina Wildberger, and Senate Bill 1403, introduced by Maui County Sens. Rosalyn Baker, J. Kalani English and Gilbert Keith-Agaran, which would cap permits at 40 and allow 50 percent, or 20, in the area at any given time. Both bills have have been referred to committees, with current hearing dates not yet scheduled. DLNR officials have spoken against the bills, preferring the administrative rule process — of which this meeting was a part — to deal with habitat management issues. 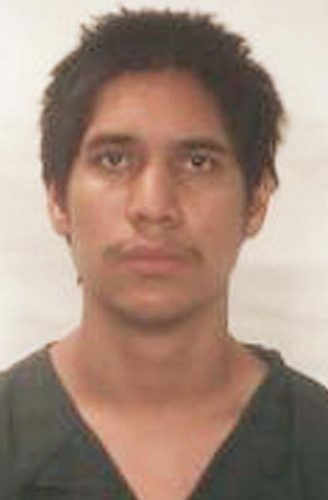 * Kehaulani Cerizo can be reached at kcerizo@mauinews.com.